I got my work mobile today. Now i can’t hide. Of course i could just ignore it. 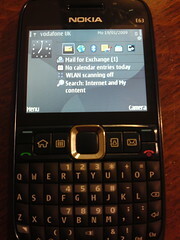 I hate nokia phones though and those buttons are tiny.